This blog was originally published on January 16th, 2016. It has recently been updated for relevance. In a marketing environment where electronic communications are more often than not substitutes for face-to-face interactions, healthcare exhibit managers are asked to reduce costs, reduce headcount, and become more efficient. This emphasis, often driven by procurement and bolstered by other marketing initiatives vying for budget dollars, results in a significant oversight of the convention opportunity: the creation of experiences to engage with healthcare professionals (HCPs) who are next to impossible to reach in the field. Exhibit managers face the internal perception that their jobs are tactical, that they offer product teams too little strategic insight, and that they don’t always grasp business objectives. Moreover, evaluation of the costs for creative services fails to meet the criteria used to purchase commodities. Exhibit strategy takes a back seat to the struggle to add to or prove the value of conventions. Not that proving value is insignificant. However, product managers drive marketing programs across the board, and the intrinsic value of the exhibiting is not adequately harnessed. As a result, the program becomes vulnerable to major budget cuts, and exhibit managers have no say in areas that would benefit from their experiences such as streamlined, cost-effective processes, sourcing and distributing digital content, data collection, virtual engagement, and measurement. Healthcare exhibiting is undergoing a profound change. HCPs who attend medical meetings are focused primarily on patients and real-world evidence rather than products. What differentiates one product from the other is the outcome. The data for outcomes depends on, among other things, adherence, and HCPs are looking for those answers. Experiential marketing is without a doubt the optimal situation for engaging in these conversations. The data that helps to create the proper environment must be shared in an actionable way. The success of the exhibit program requires that exhibit managers engage in strategic multi-tiered internal discussions and enhance the product team’s perception of (and confidence in) the exhibit initiative. Oh yes, and garner buy-in from senior leadership who may only be looking at costs. the process of identifying and reaching the target audience at each show. providing relevant content in the exhibit environment. working with partners to create the experience that will engage these attendees. developing the right presence for the intended audience. executing and measuring success, including contribution to revenue. 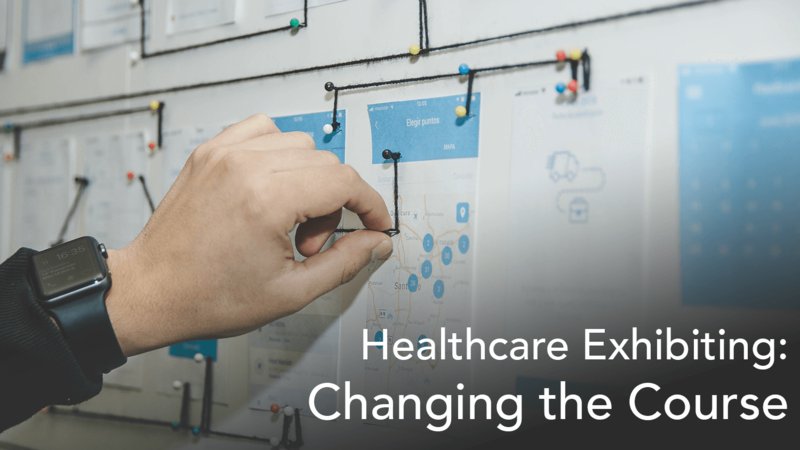 Unlike the current focus and ongoing insistence on cost savings that puts nearly all the emphasis on execution and ignores the strategic agenda, the new direction for healthcare exhibit programs will combine the efforts of the product teams and their vendors with the strategic capabilities of the exhibit team and its healthcare exhibit house. 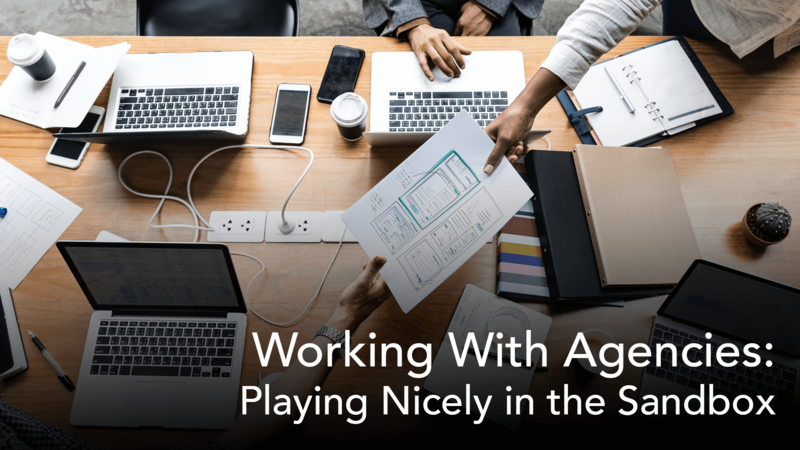 Sharing strategic resources will make it possible to create scalable solutions that result in noticeable cost savings as well as experiences that enable engagement. There is no room for turf wars—only collaboration. what works on the show floor, considering the preferences and personalities of attendees. the ratio of cost to return. the educational value of the program: how were key messages presented to engage the HCPs. Meanwhile, the exhibit manager will drive strategy based on an understanding of the product group’s business realities, objectives, and the overall competitive environment. With increased credibility and strategic direction coming from the exhibit team, creative development for each show will be increasingly targeted. With measurable business objectives as endpoints, the creative process is less likely to be swayed by random ideas or the loudest voice in the room. The goal is simple: To aggregate content assets across all marketing channels and product groups and to deliver to the company’s business goals. This goal will be reached by driving show-specific strategic and creative development and on-site execution as well as critical program-wide initiatives like measurement, digital media, sponsorship opportunities, and the exhibit itself. It will also depend on consistent teamwork relentlessly driving innovation and building relationships of trust to execute on strategy, on time and on budget – every time. An integrated media communications strategy will leverage media investments across channels to capture more attention on and off the trade show floor. The new model for live events will connect audiences and brands with relevant, one-to-one communication and leverage assets to create cost savings initiatives as well as campaign recognition. In this spirit, digital media will put a fresh face on content, draw traffic and engage attendees. The repetition of the brand promise as it appears across all channels will drive preference and influence prescribing/buying behavior. And that is because development of digital media can, from the outset, be multi-purpose with development costs shared across departments. Better external reporting in the form of a simple, periodic newsletter highlighting key trade show successes and performance metrics. Better accessibility to creative concepts, both used and unused, to act as creative sparks that may spark the creative process for all parties. Not every initiative requires an original approach. Better financial reporting to convey to senior leadership the role of the conventions department and the value of the convention medium. Healthcare conventions are a multi-faceted channel for communicating key messages to target audiences face to face. 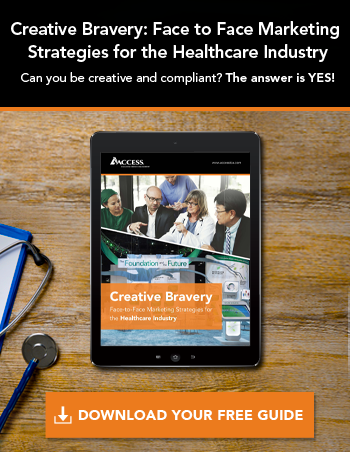 Assuming a singular focus and consistency of message across all channels, a unified team of strategists, including the exhibit manager, will enable efficiency, knowledge sharing, global innovations and broader value creation for healthcare marketing. Want some more ideas to make your program successful? Take advantage of our partnership with Exhibitor and click here for some great offers. 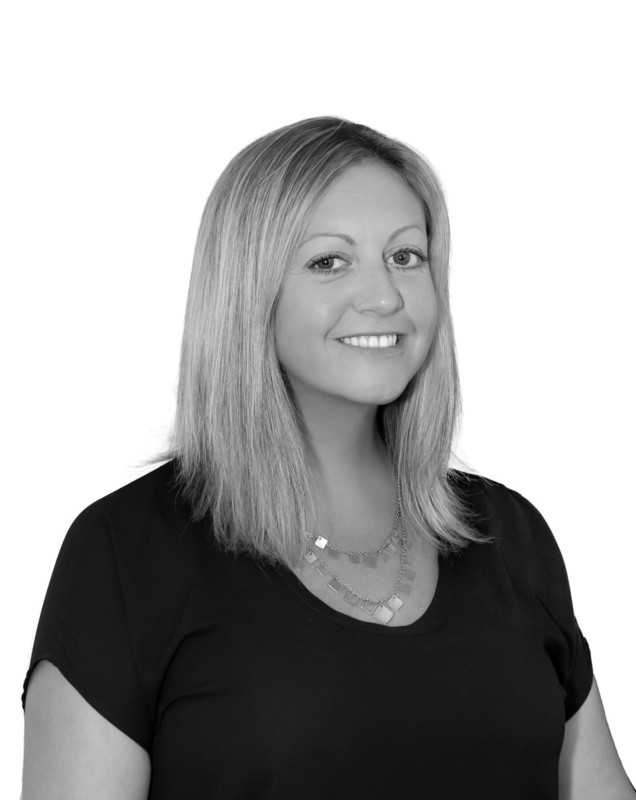 Sarah Hurley is experienced in large account management and event marketing, both domestic and international. She manages daily operations for clients across various industries.